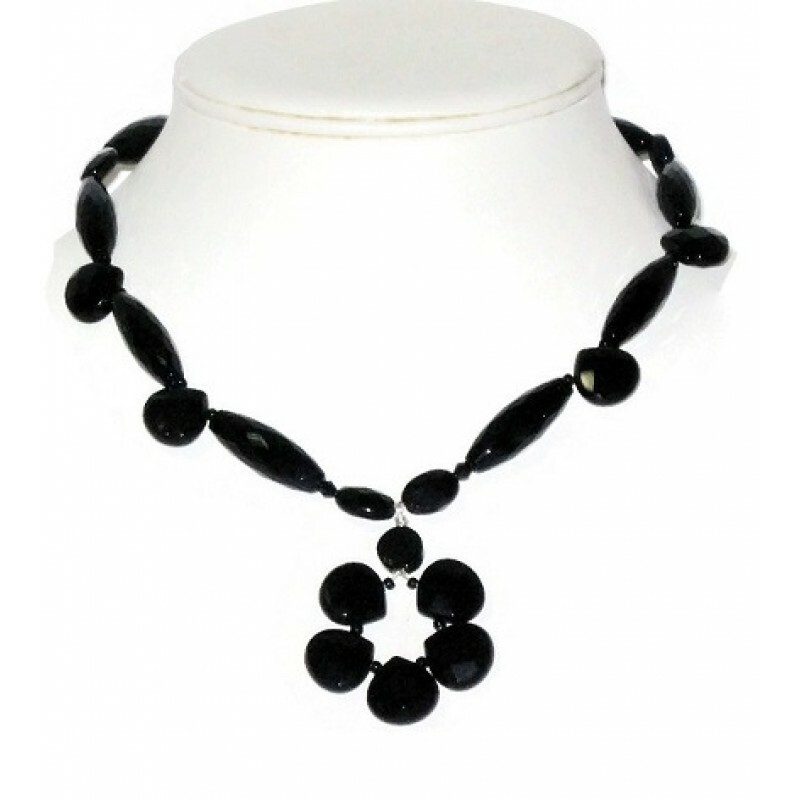 This necklace features a flower pendant accented with assorted onyx beads and Swarovski crystals. It has a silver lobster clasp, and measures approx. 18".